At this time of year I can honestly say that I spend more time weeding than I do growing new plants or tending to my vegetables. While July is a glorious month in the garden for delphinium, red hot pokers (knautia macedonia), lathyrus and dianthus, it’s also a month where I find low maintenance plants particularly welcome because of all the other jobs that need done. Sedums are a plant that I’ve really come to love and value for that reason – although not that reason alone – in recent times. Species within this huge genus tend to have a hardiness rating of H4-5, which makes them the perfect companion for the cold Scottish climate throughout the autumn and winter months. They are good all-weather performers, as long as they’re planted in an open and airy position, and while the tend to prefer a non-rich, neutral or slightly alkaline soil, I’ve seen them thrive in soils across the ph scale. Sedums are also known to be drought hardy, but I’ve also got a few which do well in the very wet west of Scotland – if they survive that amount of rain, they’ll survive anything! Another reason I love sedum is that they make for fantastic ground cover, which is great news for keeping ephemeral and annual weeds at bay. The succulent foliage means that low-growing type are perfect for rock gardens, while taller varieties thrive in perennial borders. Some sedums die back every year whereas others are evergreen, but most tend to start showing their succulent leaves around April or May, with flowers arriving in late July/early August and lasting through till the end of summer, with some Autumn flowering varieties showing fantastic displays of pink, yellow or white till as late as October Even when they’re not in flower, I still find the succulent leave-like stems incredibly fascinating and beautiful, particularly the low-growing types which seem to flourish exponentially from year to year. Sedums take well to propagating. They root easily from stems pulled away at the base or pieces of cut stem when plunged into a halfand- half mixture of gritty compost and horticultural sand, and respond well to a chop before flowering (usually around mid-Spring). 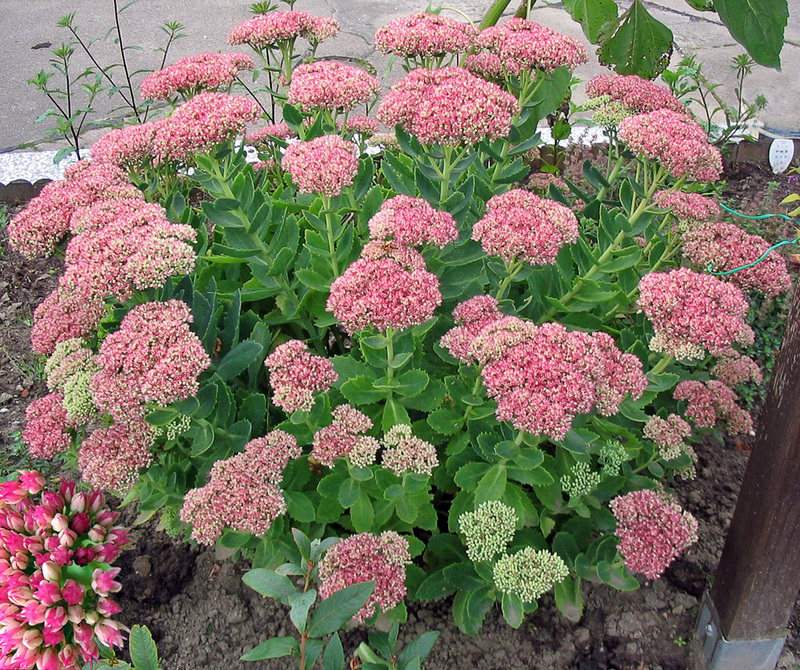 Well-established sedums will also benefit from being split in spring and divided up across the garden. There’s so many reasons to love these plants. They are incredibly reliable, work well in a wide variety of gardens, from rockeries to herbaceous, and are pretty resilient against pests and diseases (although can take a bit of a hammering from the vine weevil, apparently). Perhaps the best thing of all is that the butterflies love them, so as well as having beautiful colour in your garden for a great proportion of the year, your patch will also be a haven for wildlife, giving you something to watch while you weed away! Previous Post Lady’s Mantle – what’s in a name?